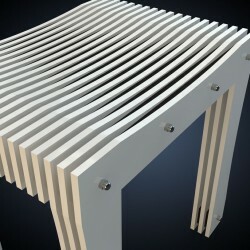 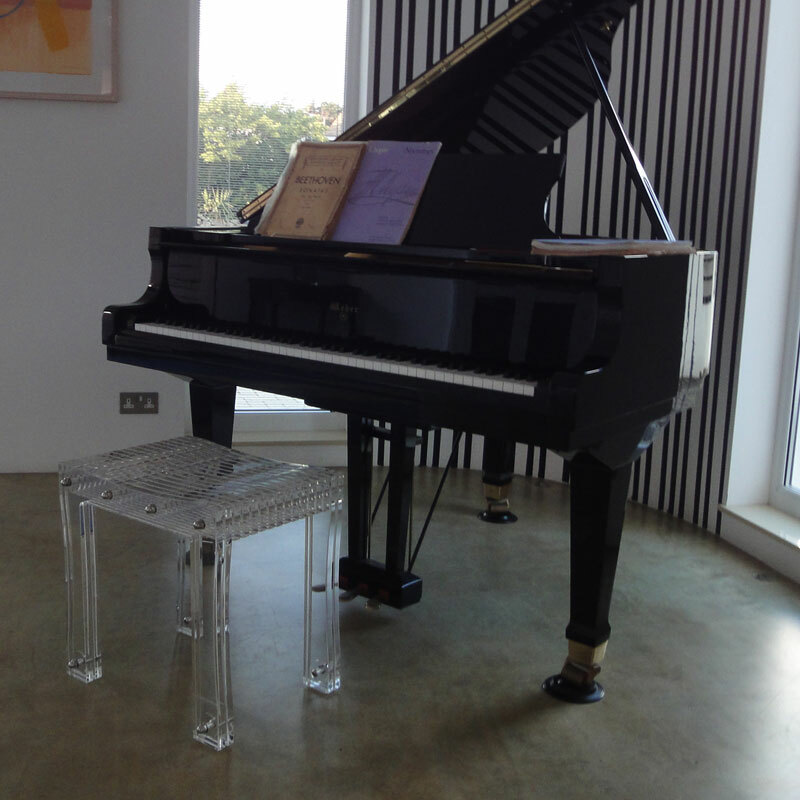 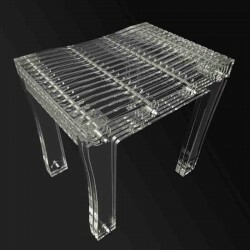 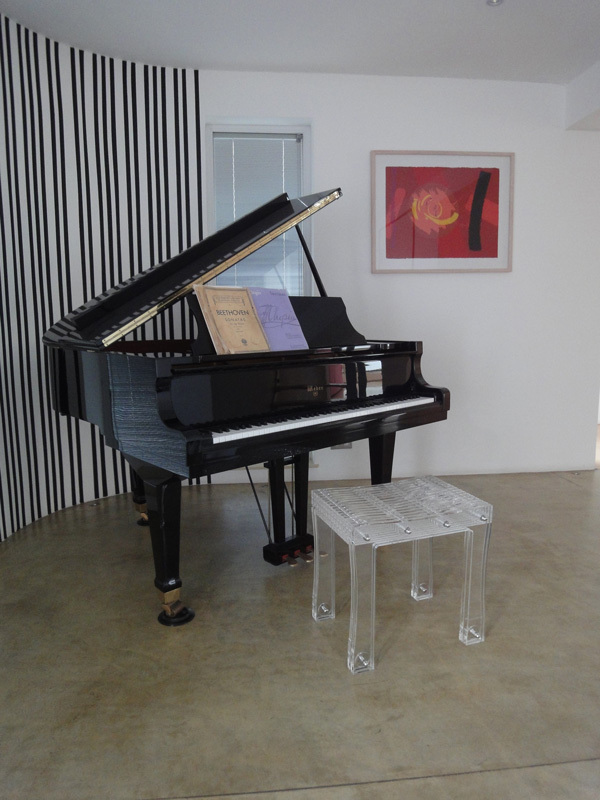 A clear acrylic seat, designed and manufactured in the UK by British craftsmen. Ideal for use as a dressing table or piano stool, it can be built bespoke with a variety of coloured acrylic and spacers in a range of thicknesses. 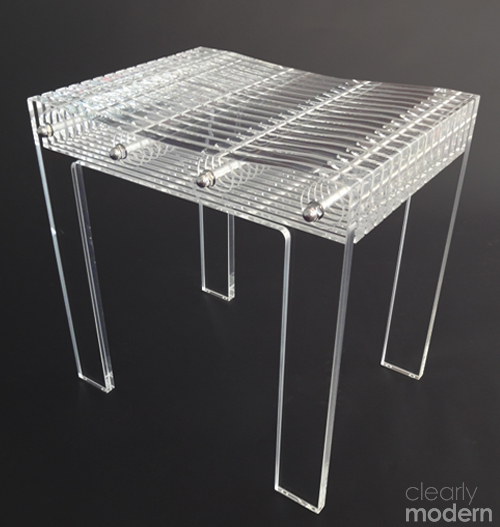 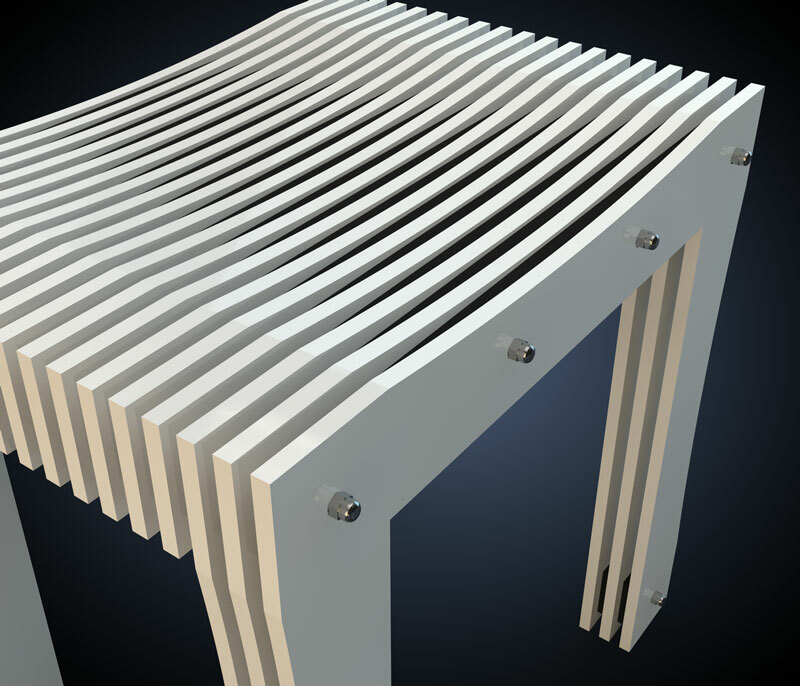 Assembled from bevelled edge 20mm acrylic slats with 5mm disk spacers and stainless steel rods, a design with limitless applications. 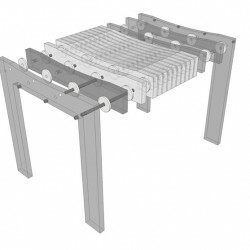 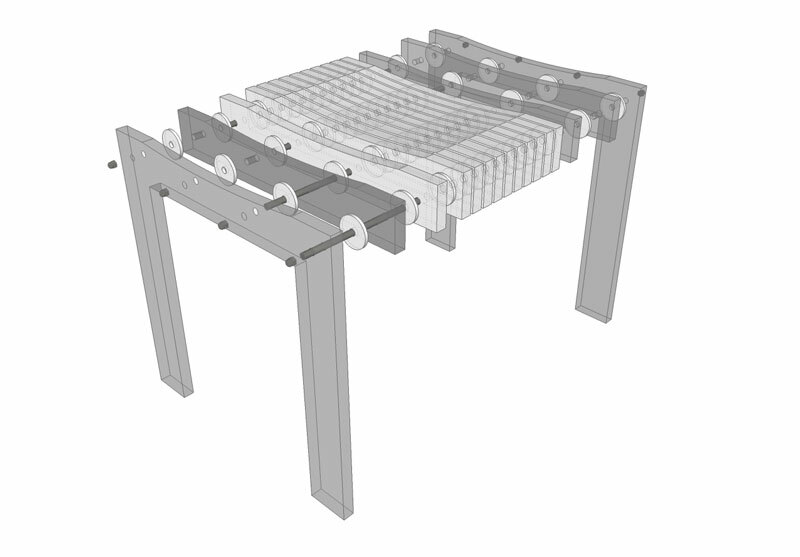 This system of construction can be used for a wide range of products including beds, hi-fi units and TV stands.